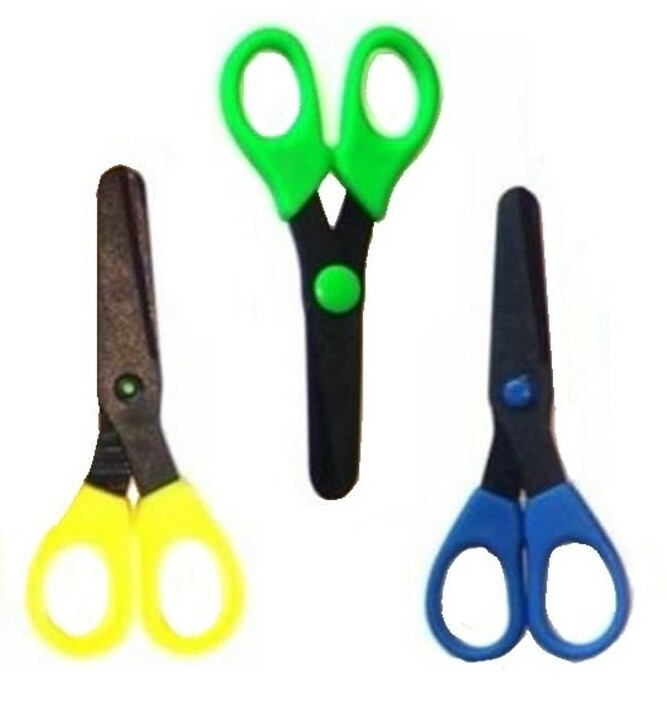 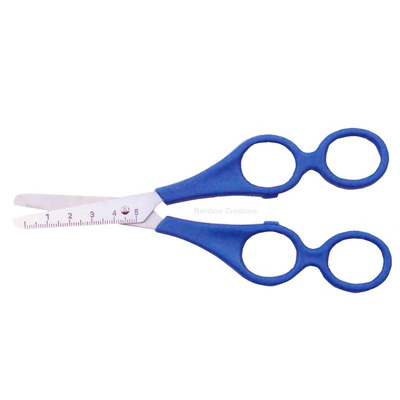 Children's training scissors for adults to use with children to help them learn to cut. 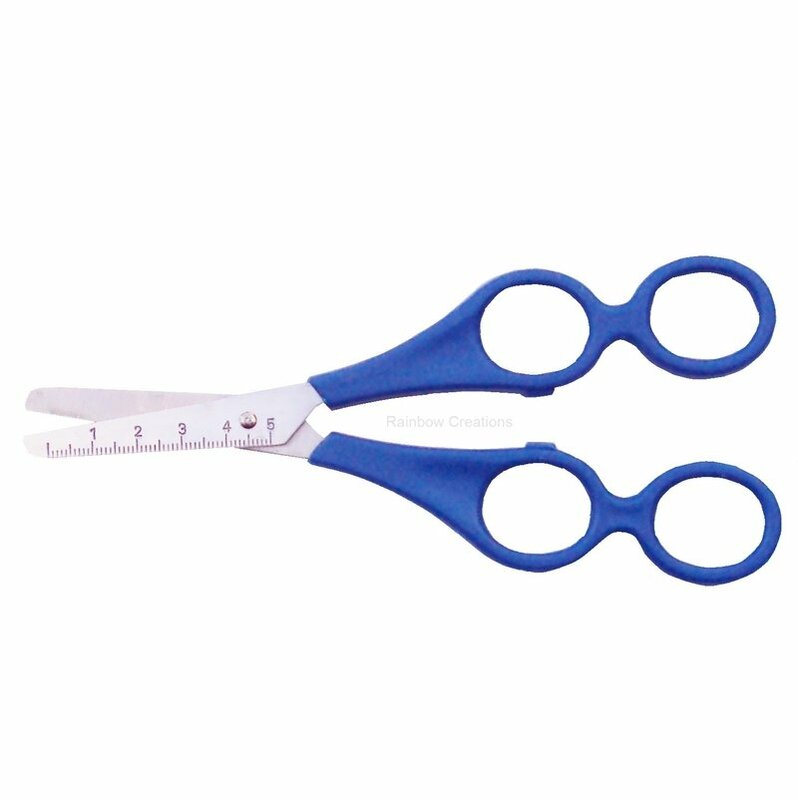 With dual handles, there is space for the child to insert their fingers whilst the adult holds the handles at the back. 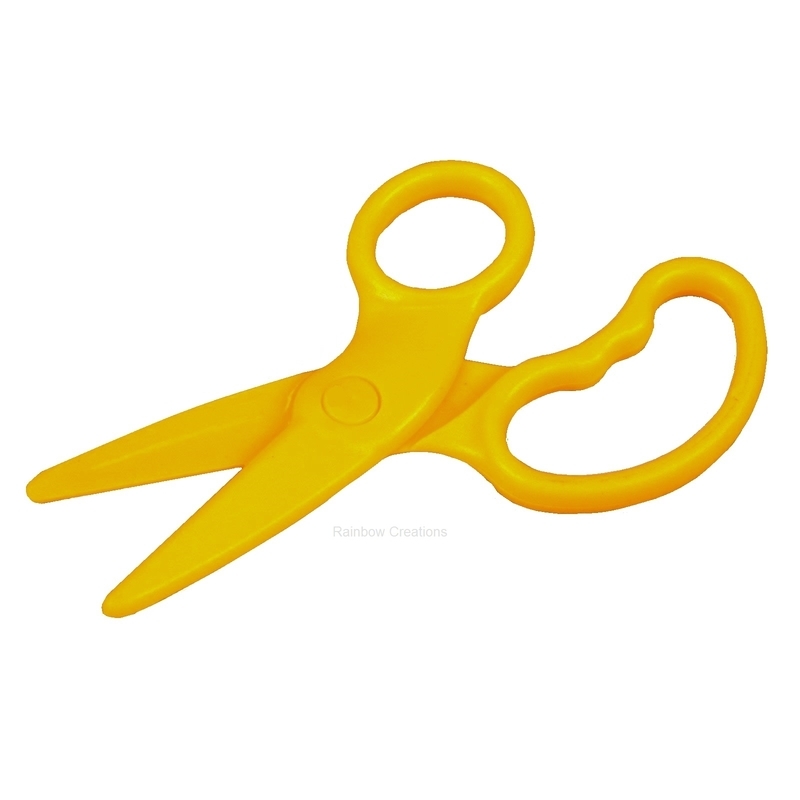 By feeling the adult's cutting action, the child will quickly learn how to cut with scissors.